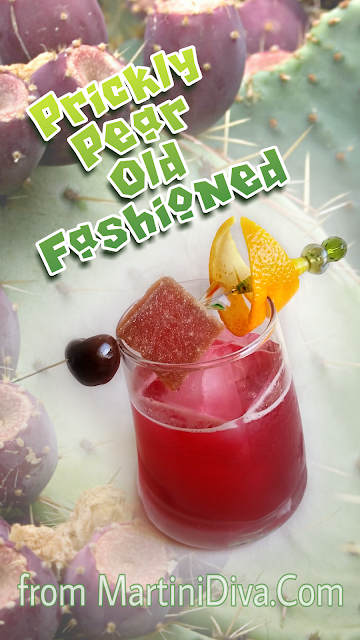 Living in Tucson, it was almost a prerequisite that I do a Prickly Pear Old Fashioned for Old Fashioned Week. So I did. I think I know exactly where the rest of my prickly pear syrup is going. DIRECTIONS Chill glass in freezer. Add the ingredients to a cocktail shaker and shake until well-chilled then strain into the ice filled chilled glass. 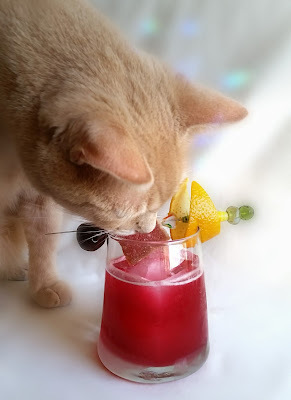 Garnish and serve. Yes, Bailey was all over this one. 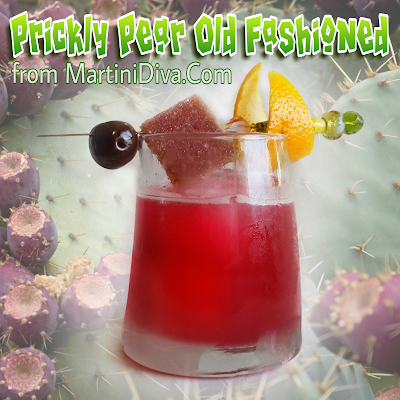 If you like prickly pear you might want to try out my Prickly Pear Martini and my Loaded Cactus Slideritas. 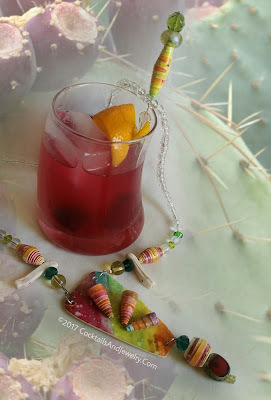 This cocktail paired nicely with my handmade, one-of-a-kind Dream Big Paper Necklace which you can find at CocktailsAndJewelry.Com.